Riga greets visitors with a unique and breathtaking silhouette, beautifully reflected in the Baltic Sea. 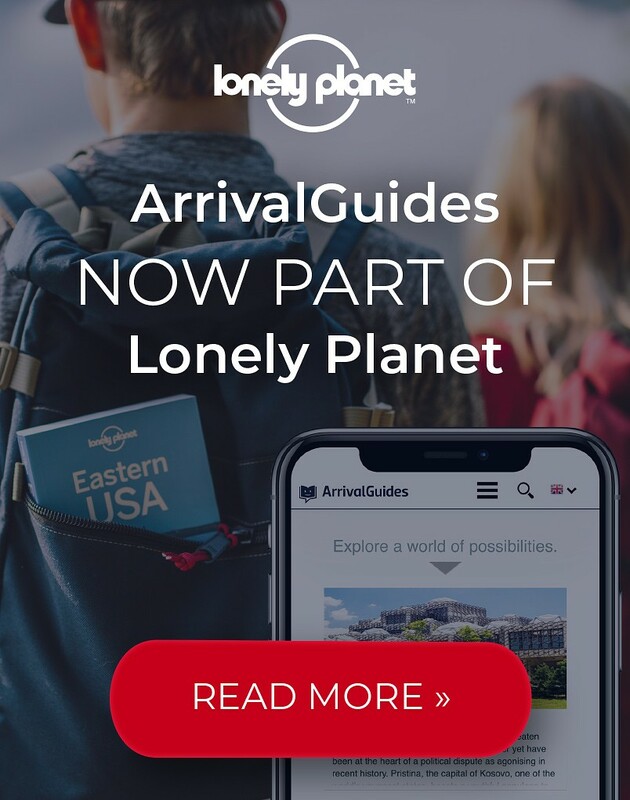 A stroll through the city centre offers a charmingly confusing mix of a modern metropolitan city with exclusive shopping, vibrant nightlife and international cuisine, and ancient traditions in a capital that has been multi-cultural throughout its 800-year history. And all this in a city worth getting lost in. Opening hours: Shops in Riga are normally open 9-17 on weekdays while on weekends opening hours are reduced. Shops are open on Sundays at their own discretion. Most supermarkets are open until 22. Open: 10-18 Mon-Sun; From 1 May and 30 September: 9-19 Mon-Sun. Riga offers plenty in terms of sightseeing and entertainment, just as one would expect from a city that was named European Capital of Culture in 2014. Guided tours normally depart from the Old Town Square. Many of the most beautiful and interesting sights are concentrated in the Old Town, so it is a good idea to start your tour from there. The Freedom Monument, or "Milda" (as the locals call it), towers gracefully between the Old Town and the city. 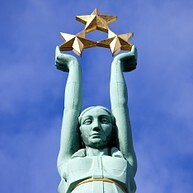 The 42-metre tall statue is a symbol of Latvia’s freedom and independence. The honour guard changes shifts every hour, on the hour, from morning until evening. 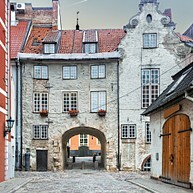 The Three Brothers are the oldest stone residential buildings in the city, situated in the picturesque Maza Pils alley in the Old Town. 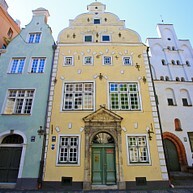 Each of the three houses represents different stages in the architectural époques of Riga, from Medieval to Baroque. 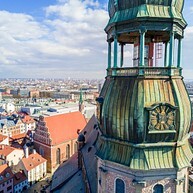 From the viewing platform around the church spire, you can walk 360 degrees around the tower. From St. Peter’s Church you can see the whole of Riga laid out before you. 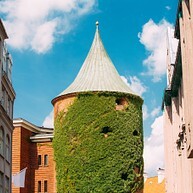 The so-called Powder Tower, the last remnant of the 13th-century wall that once surrounded the heart of Riga, now hosts a war museum. The aim of the museum is to reveal to the public the complicated military history of Latvia, with a special emphasis on the 20th century, during which the Latvian people had to win their independence twice. The Latvian president Andris Bērziņš lives in one of the wings of this yellow 14th-century castle, situated by the mouth of the Daugava River in the harbour area. The castle has been rebuilt several times throughout the centuries, and its architectural style is a charming muddle of different architectural époques. Several art museums are housed inside of it. The largest place of worship in the Baltic, the Nativity Cathedral of Riga measures 187 times 43 metres, with walls two metres thick. It has also one of the biggest organs in Europe with 6,768 pipes. Dome Square is the largest square in Riga Old Town where various public events are often held. Made of seven streets, it includes several monuments dating back to the 19th and 20th century. The square has a marked point where you can stand and see all three golden cockerels on top of Old Town's churches. 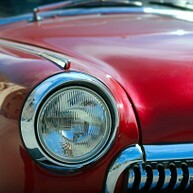 Riga Motor Museum is an absolute bliss for car lovers. The museum displays Western as well as Soviet cars and motorcycles, topped with wax dolls of the old Soviet party leaders. The new exposition tells fascinating stories about unique vehicles, renowned individuals and important milestones that helped to shape world’s automotive history. 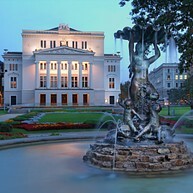 Riga has a permanent circus where guests can witness some very special acts. Come and enjoy performing pigs, bears, horses and dogs, as well as the "non-performing" domestic cats. 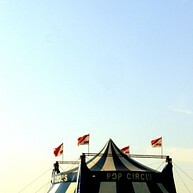 This circus is open from October to April. An absolute must for visitors to see is the labyrinth of cobbled streets in the Old Town. This live open-air museum is declared a UNESCO World Heritage Site. A walk along the winding streets goes past over 150 historical and architectural monuments, the oldest from the 13th century. Do not be afraid to get lost in the narrow alleys, it is part of the experience. The Latvian Opera House is an attraction in itself - the building is very photogenic and makes for a great walk around in the afternoon. Opera and ballet are fabled as well, so make sure to check for current shows when you're in town. Located 30 minutes away from the city centre, this open-air museum offers visitors a great overview of Latvia's country life and architecture. Check whether buildings inside are open for visiting, as they may be closed during cold seasons. You may explore the museum on your own, or through a guided tour. Alberta Street is the Art Nouveau epicentre of Riga, as magnificent historical Art Nouveau buildings are located along the entire length thereof. Eight of them have been recognised as architectural monuments of state significance.This street is an open-air museum in itself - a UNESCO world heritage site that is not to be missed. 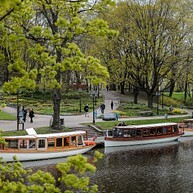 Right next to the Latvian Opera House is Vermanes Park - a beautiful and tranquil retreat from the city's busy cobbled streets. With its picturesque little bridges and lush greenery, the park is a great place to visit at any time of day. Take a boat ride along the canal, take a look at the plentiful statues inside or visit the tea house. For an insight into Latvia's past and the activity of the Soviet Secret Service police in the country, take a guided tour around the former KGB headquarters building. It commemorates those who were unjustly convicted and murdered and those who suffered and died during the repressions and deportations. 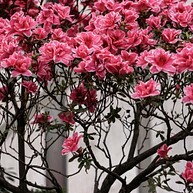 The university's Botanical Gardens have something to offer at any time of the year, but summer is the time they should definitely not be missed. Bring a picnic set and retreat from the heat underneath the lush green trees.